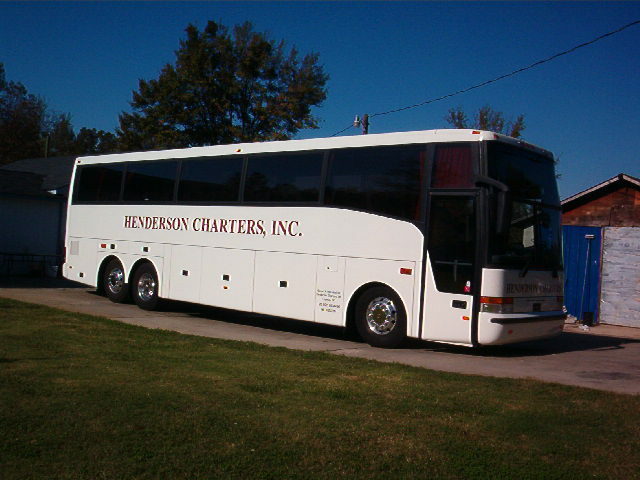 One of our late-model Van Hool luxury motorcoaches. All are T-2100 series European-styled coaches. 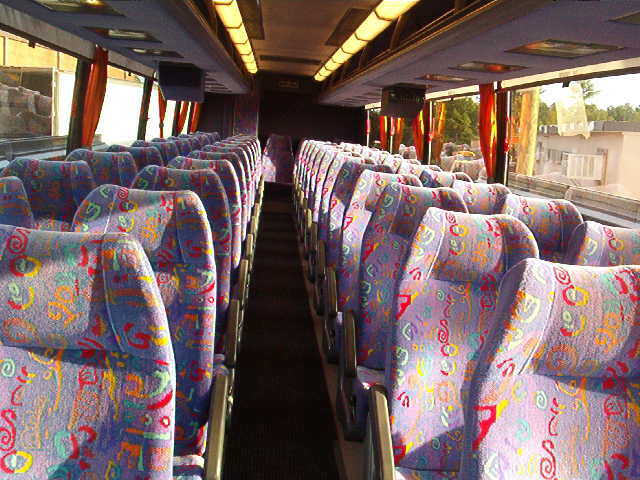 Interior of a 49 passenger Van Hool in our fleet. 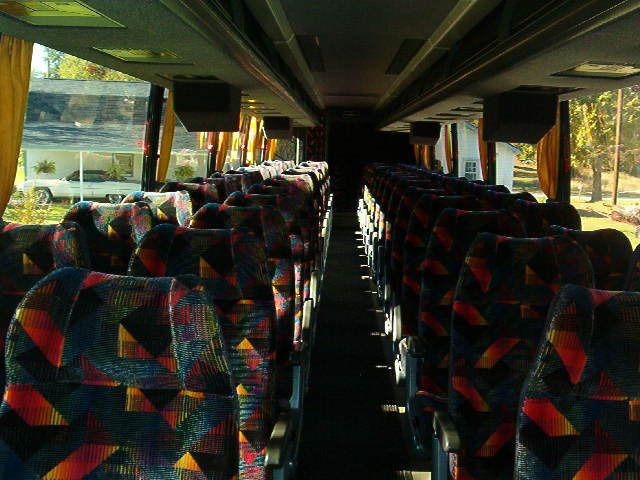 Interior of a 57 passenger Van Hool in our fleet. We take pride in the fact that our coaches are smoke-free and alcohol-free! Henderson Charters offers . . .
tour groups, school groups and bands, educational tours, and sightseeing tours!